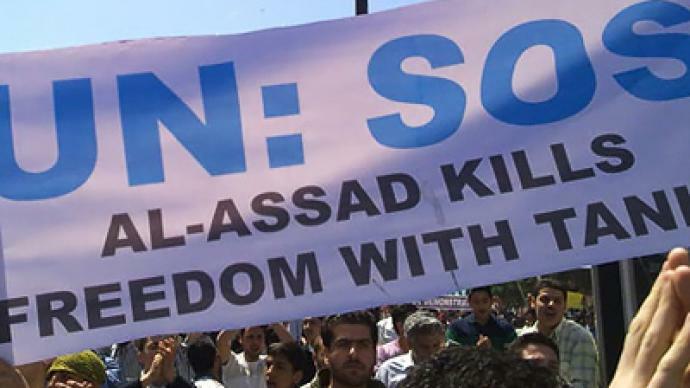 It is months since an uprising began in Syria against the Assad regime with hundreds of civilians allegedly killed. Deputy Foreign Minister Faisal al-Miqdad told RT it is the extremists and not peaceful protesters that are behind the unrest. ­RT: I would like to talk about what has been going on in Syria for the last three months. Can you comment on it? Faisal al-Miqdad: Syria has seen complicated events in these three months when religious extremists started to destabilize the country’s peace and security and undermine stability in Syria. Of course, the mass media have also done their bit to present Syria in an unfavorable light as a country that is hostile towards its own people. Never in the history of modern Syria has the country been attacked the way these armed bands of extremists are doing it. 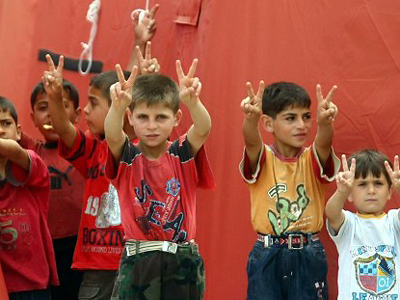 Syria is in need of reforms and we have had peaceful demonstrations in favor of reforms. The Syrian government and President Bashar al-Assad responded to the demands of the people but, as you may recall, every time the government was about to introduce reforms, violence surged in the country. I witnessed these acts of violence in Daraa and other Syrian provinces like many other citizens did. 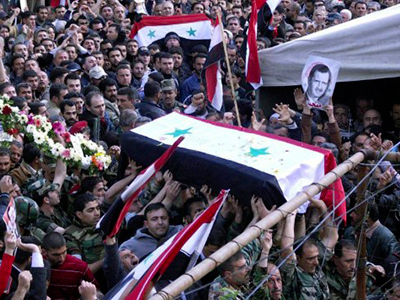 The incumbent president of Syria is committed to reforms and in 2000 he proposed a major program of reforms but events in the region that followed affected the implementation of the reforms gravely: the US invasion of Iraq and a potential threat that the aggression would sweep over Syria after the American government made its intentions clear; the turmoil in Lebanon and the assassination of the Lebanese leader Rafic Hariri. The situation in the region changed and the state of Syria is threatened. The reforms were shifted to the back burner and defense of the country was made the priority task. It has been the most important thing ever since. Today, however, the government is considering the implementation of the reform plan their predecessors have launched but not finished. President Bashar al-Assad has lifted the state of emergency and signed a decree that allows holding peaceful demonstrations in the country. By doing this the president actually enforced one of the basic civil rights. Besides, the draft law on parties was submitted for discussion. The text can be found on the internet. Previously we had a law that limited the allowed number of parties in Syria to ten. The new law stipulates that people may create new parties if they wish to. Their number is no more limited, and whether the newly-established party will be in opposition or not does not matter either. A lot of attention is also paid to the new law on mass media which is as essential a part of the national dialogue as the law on parties, on elections or on local authorities. RT: You mentioned the national dialogue. As part of this framework the Syrian government called a consultative meeting on the national convention scheduled for July 10th. Was the opposition invited to join the convention? And what was their answer to the invitation? FM: That’s true. We were having consultations with the members of various public groups and the opposition, not only official public figures, on the first round of preparations for the national convention that is going to take place on July 10th. Its main objective is to set the framework for a national dialogue and make it work. Everyone will be able to join the dialogue and help tackle the problems we face peacefully and for the benefit of the country and its people. RT: Was the opposition that has emigrated from the country also invited to join the meeting? FM: We don’t draw lines between the internal and foreign opposition. We are concerned about their ties to the external powers. It is important that their opposition activities should pursue the interests of Syria and stay within these limits. RT: Protesters and security service officials are still being killed in Syria. When is it going to end? FM: First of all, I object to using the word “kill” in relation to protesters. No one is killing protesters. These are all rumors spread by the mass media. The facts are falsified to manipulate TV viewers. 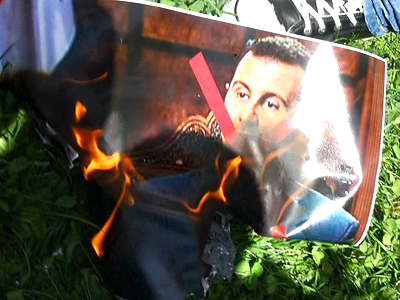 Tales about protesters being killed in Syria are mere lies and falsifications. Who actually is being killed in Syria are policemen, security service officials and innocent people. Of course, there are sporadic civilian deaths, no one is going to deny this, but there is no denying either that there are armed bandits who kill soldiers and fight against the security forces. 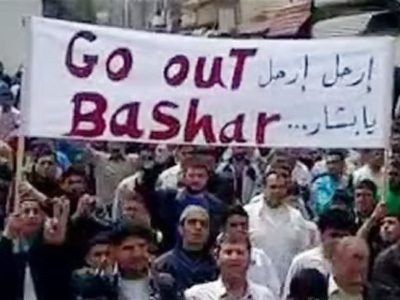 Take the city of Jisr al-Shagour where the security forces were kept isolated for three days. When the militants failed to defeat the security forces, they tried to get revenge on them by cutting off heads and throwing the bodies into common graves. RT: Observers think that the relations between Syria and Turkey have deteriorated after the Syrian troops came close to the Syrian-Turkish border and were deployed in several regions, and certain TV channels which you called biased recently reported civilian deaths. Is it true that Syrian-Turkish relations are threatened? FM: There are two aspects to the Syrian-Turkish relations. First, we think that the Turkish government fully realizes that good neighborly relations with Syria will benefit both the Turkish and the Syrian people. And Syria is also well aware that friendly relations with a neighboring country that has a common border with Syria of approximately 850km should by no means be sacrificed to any extent. Another aspect is that deployment of Syrian military forces in this region is not directed against Turkey, not at all. There are armed people on the Syrian side of the border who have tried to take power by use of force and by killing innocent citizens. Therefore it is only natural that Syrian military forces were moved there in order to restore order, stability, and security in that region, and this should not be misinterpreted as an attempt to provoke the other side or as a sign of decline in security between the two countries – it was directed against the armed groups of people who tried to oppress the citizens on the Syrian side of the border and forced many of them to flee their motherland. With the help of RT we would like to address everyone who left our country and we would like to say that we encourage them to come back, and by the way, many have already returned. But on the Turkish side, there are groupings of armed people who are standing in the way of our citizens who wish to return. We informed our people that we are ready to provide them with all necessities for everyday life, as well as with free transportation home by Syrian national bus service; we’re ready to provide them with everything for a quality life such as food supplies, medication, and medical aid. And what’s most important in my opinion we shall welcome them back home without any repercussions. RT: Are you expecting a Western military intervention in Syria the way it happened in Libya? FM: I’d like to say that situation in Libya is completely different from that in Syria. Syria’s position has been clearly articulated and the global community is aware of the military forces Syria has, so even if the West is thinking of intervening we would advise them not to. Moreover, Syria has friends and allies who will stand by it and oppose any kind of intervention in Syria’s domestic affairs. Syria is the key to the balance in the Middle East. Any meddling with its internal affairs will drive this region to a disaster. Western countries are well aware of this, but nevertheless they keep hating Arabs and Syria in particular because of our political stand on the Arab-Israeli conflict and because of our achievements, success, and our progress on the reforms track under the leadership of president Bashar al-Assad. RT: What’s your assessment of Russia’s position in regard to events in Syria? FM: I believe that Russia has a very commendable position. The Russian Federation performs its tasks of a permanent member of the UN Security Council in a most responsible way. Supported by our friends in Moscow, we would like to make a statement that the situation in Syria poses no threat to global security and peace and therefore should not be discussed by the UN Security or Human Rights Council. In truth, external intervention and injection of considerable funds by certain circles have infringed our rights, the rights of Syrian citizens. Many protesters were in fact bribed and we even have the details of the amounts paid and arms purchased. We also are aware of the conspiracies against Syria. I mentioned some common interests, and would like to say that Syria is truly the main line of resistance that keeps extremism in check preventing it from spreading all over the region. Russia is not that far from our region and quite often has to deal with religious extremism, just like Syria. When we stand up for ourselves while Russia protects its principles and standpoints, we thus protect not only both our countries, but also China and all those countries threatened by extremism. RT:Charges are laid at Iran’s door that it has been intervening in the Syrian crisis. Is that true and what would you like to say in response to such allegations? FM: Iranian-Syrian relations are not hostile to any third party either in the region or on the global scale. Their main objective is to counter Israeli occupation of the overtaken Arab territories and establish security, peace, and stability in the region. We strive to achieve understanding between Iran and Arab countries while the West is trying to set Iran against our countries and persuade it to stop supporting Arabs. The West is trying to bend Arabs to their will and strip us of a true ally, i.e. Iran. They want Iran to withdraw from our common stand against Israel and to become estranged both from us and all the Arab countries. RT:What is your assessment of Arab countries’ attitude to events in Syria? FM: We never rejected support to Arabs and thus did everything to secure their support for Syria. I believe that Arabs must be united in their statements in a hard time like this. What happened in Syria can be expected to spread like an epidemic across other Arab countries in order to weaken them and allow Israel and the West to impose their civilization, their supremacy, their values and mindset upon us. I very carefully follow the signals of what the West wants from us, especially in view of the recent events. And I must say that in truth they do not wish us well. The main blow is now directed at Syria as an armed state and its purpose is to enforce a new reality onto Syria in the interests of the West, to force Syria into giving up its current position and getting removed from involvement in the Arab-Israeli conflict. Otherwise, why would anyone need it? 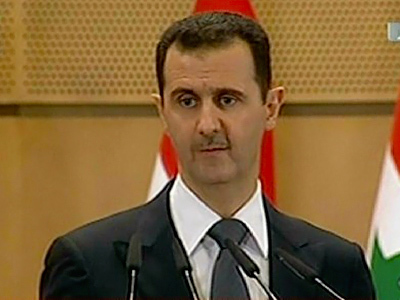 Syrian president calls for national dialogue "in face of conspiracy"